Beneath the gold chains and diamond-encrusted watch is a young man whose passion and dedication to his craft have seen him achieve heights unparalleled by others in the music industry. Just 10 years ago, Shane Lindstrom was a 15-year-old in Fort Erie, Ont., living the life of a seemingly average teenager with his parents. 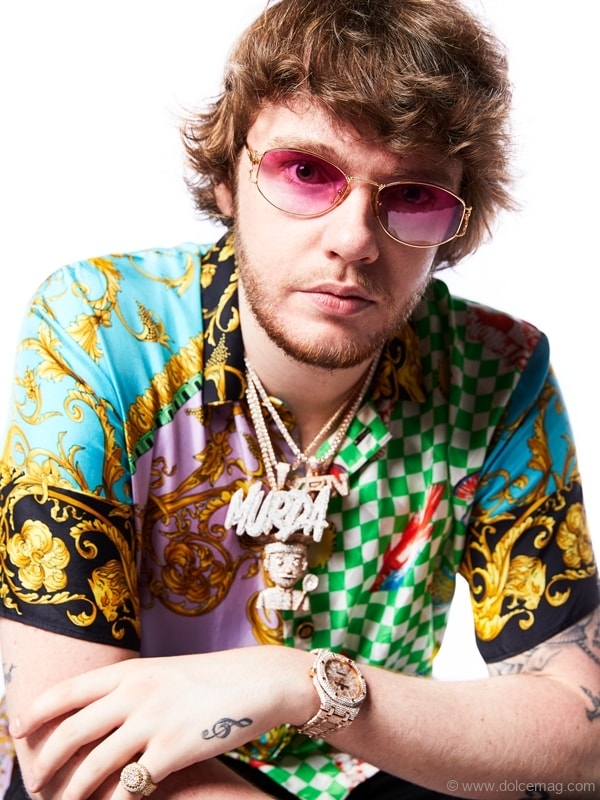 Now, he’s a dominant figure in the music industry, known by his stage name, Murda Beatz. An esteemed music producer who has worked with everyone from the Migos to Drake to Nicki Minaj, he comes from humble beginnings with an awe-inspiring story of his journey to the top. This passion for music resulted in Lindstrom attempting to create it himself. After being introduced to FL Studio, he started practising and making his own beats, the component of rap that initially drew him to this genre of music. His dedication to the craft developed, even at the young age of 16. “In Grade 12, I used to walk home 45 minutes every day from school just to beat the bus home by 30 minutes, so I had an extra 30 minutes to make beats,” he tells Dolce. But how did he go from Fort Erie to Los Angeles? What, you may ask, was his key to that early success? Networking. “Your network is your net worth,” he says with vigour. Looking back at his rise to fame, Lindstrom had begun uploading his beats to YouTube to make his presence known and expand his repertoire, but his career really took off once he was able to show others in the music industry his capabilities. “I had a couple strategies of getting people’s attention,” he recalls. “I was hitting up people like Chief Keef on Facebook before they were really big. I was connecting with everyone on Twitter. If I wanted to get to the Migos, I would type in ‘YRN’ on Twitter, and I would hit up all their friends. Or I would wait until I’d see MC Hustle tweet at 3 a.m., and I would hit him up. I would ‘@’ him right then, when he tweeted, so he would see that and then DM me because there’s not a lot of traction on Twitter at 3 a.m.,” he says with a laugh. As he reflects on the current state of the industry, he notes that in the five or six years that have passed since his early days, Twitter and many other forms of social media have become oversaturated with producers, artists and other individuals who are also trying to navigate the networking world. As such, it’s crucial for aspiring producers or musicians to get out there and meet people. “When I was 16, I was barely a year into producing. I flew to Chicago just to get face and meet these people and then when I started talking to [the] Migos they flew me out, and I started staying with them at the studio and then eventually stayed in their house with them as well. So I wouldn’t hesitate on travelling and getting in these people’s face and building a face card, so they have a face to the name,” he says. “You have to network, you have to get in front of people. If it’s a music conference, if it’s a music festival, if it’s the studio that these guys record at, if it’s you ending up interning at a studio just to get closer to artists, [do] whatever you gotta do,” says Lindstrom. “Be on all social media platforms, make a page on Facebook, be on Twitter, be on YouTube, be on everything and build your face card,” he says. Having this outlook and implementing these strategies throughout his career have led to fantastic results, working with the best of the best in the rap game. The collaborations he’s been a part of have even resulted in the production of award-winning records. 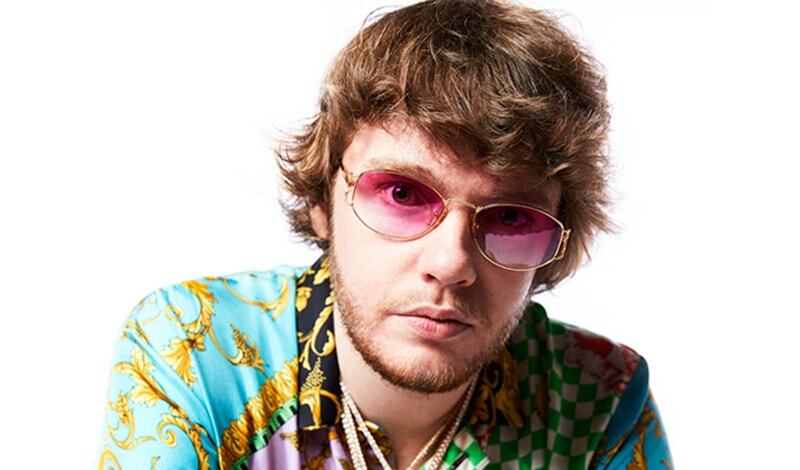 “Nice For What,” which he worked on with Drake, debuted at No. 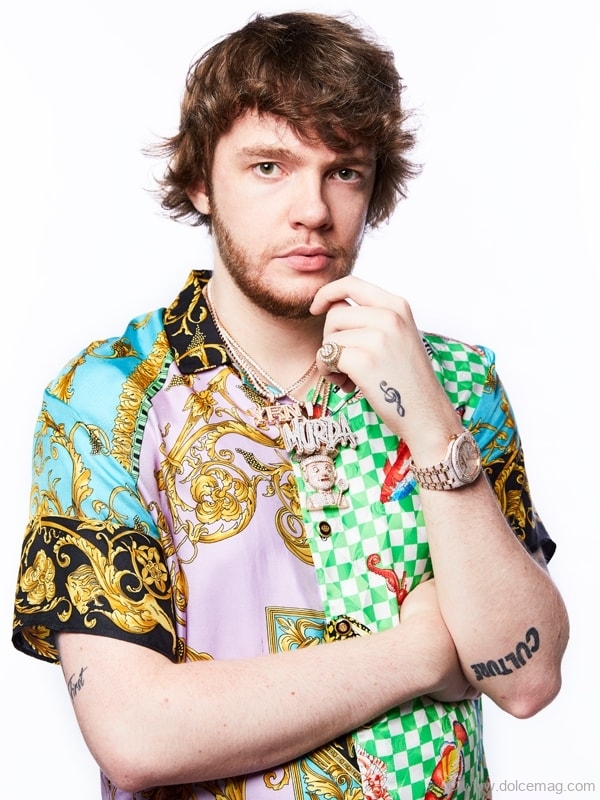 1 on the Billboard Hot 100, and he collaborated on Cardi B’s album, which won the Best Rap Album award at the 2019 Grammy Awards. Although he’s taken the industry by storm and worked with a multitude of artists, the list of artists Lindstrom still hopes to work with goes on and on — everyone from Justin Bieber to Beyoncé to ASAP Rocky have a place on his list. He also hopes to broaden his repertoire and bring the elements he has perfected into others genres, including rock, country and pop. No one knows what the future still has in store for Lindstrom, but whatever it is, it is sure to be bright — almost as bright as the gold chains he wears denoting the stage name that has become emblematic of his talents.